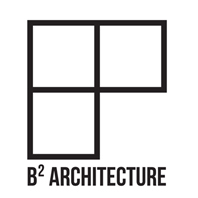 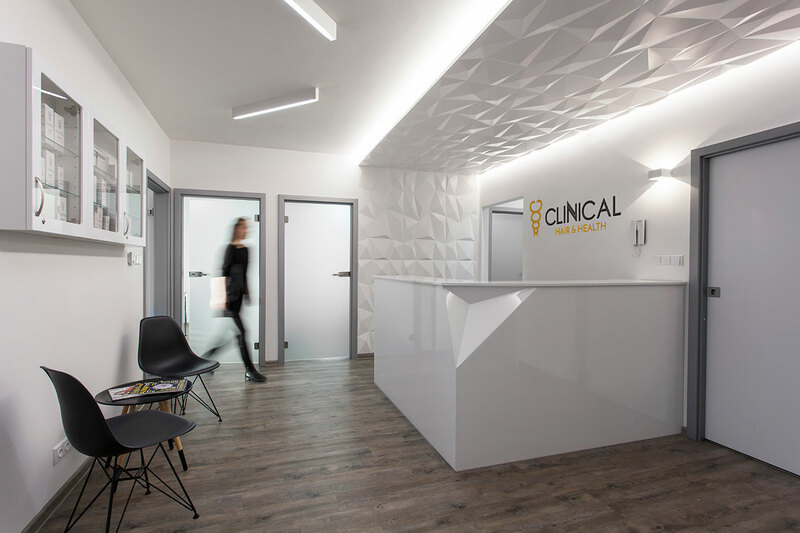 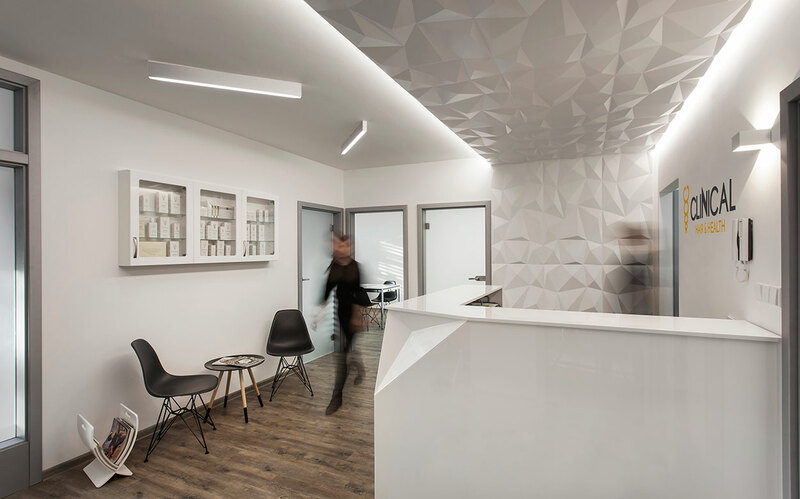 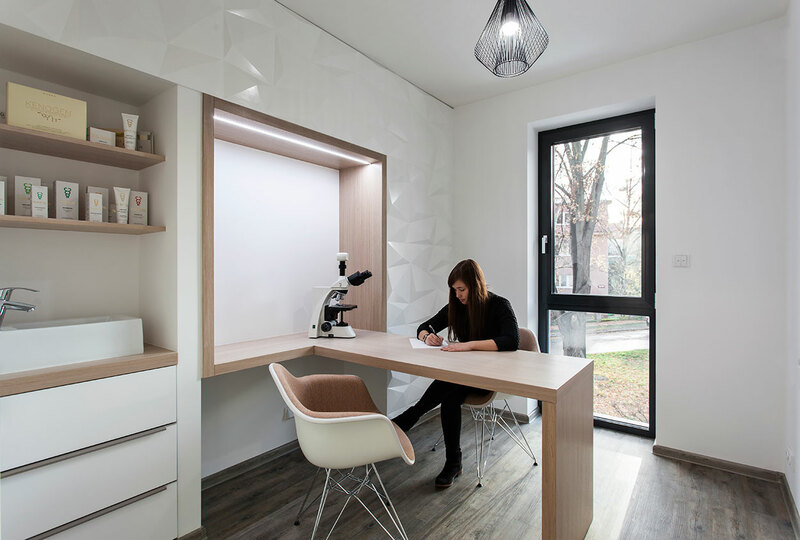 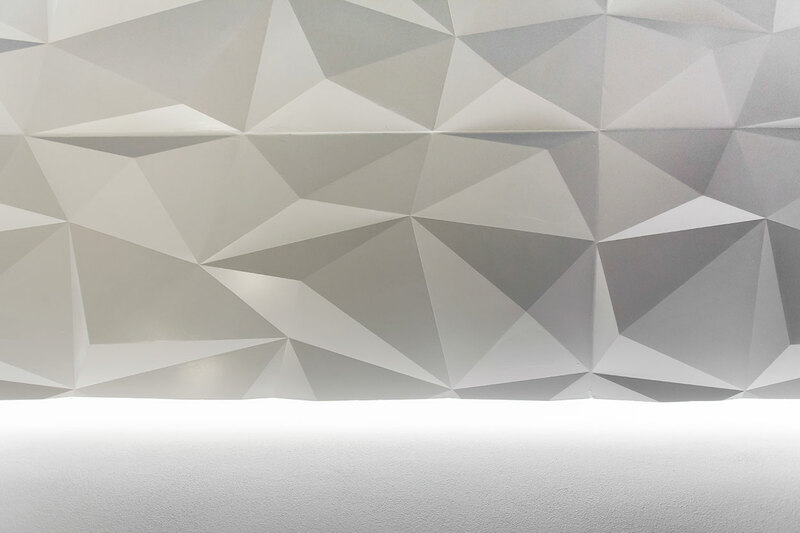 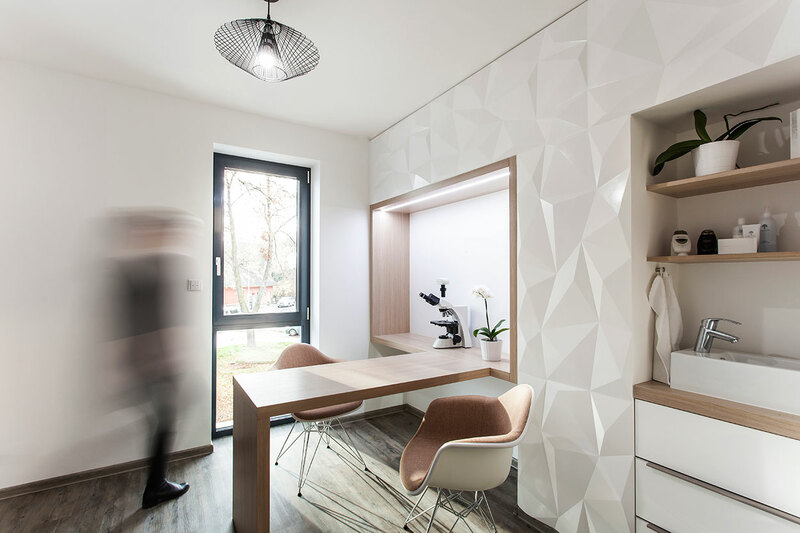 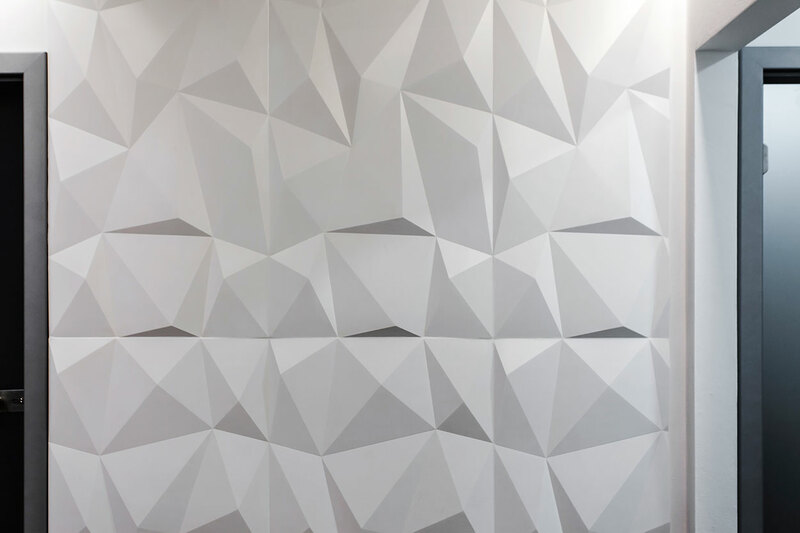 The intention was to create a light and relaxing space defined in the reception area by an origami-like panel structure that defines the space and gives it a cohesive shape. 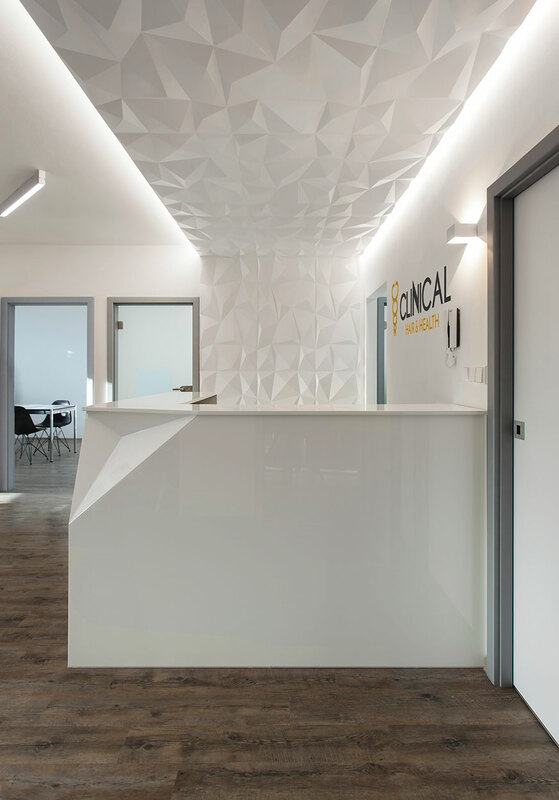 These panels appear in the other rooms of the clinic, accompanied by natural textures. 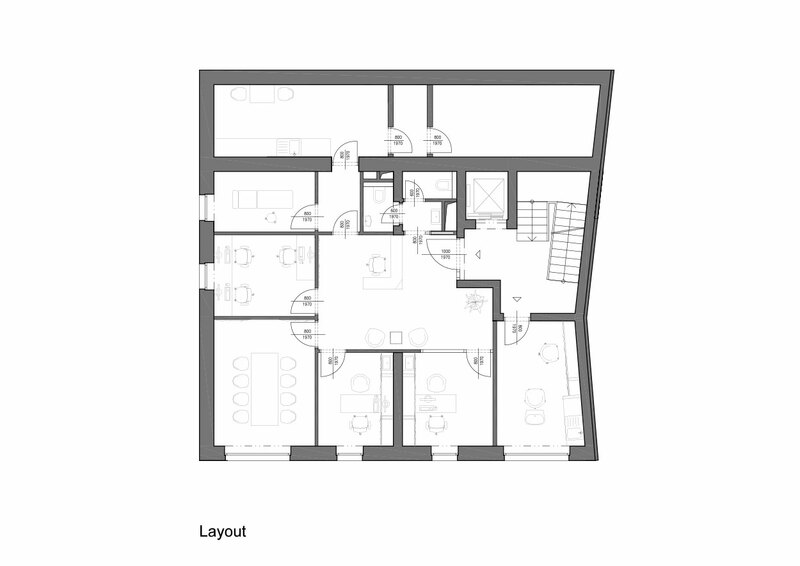 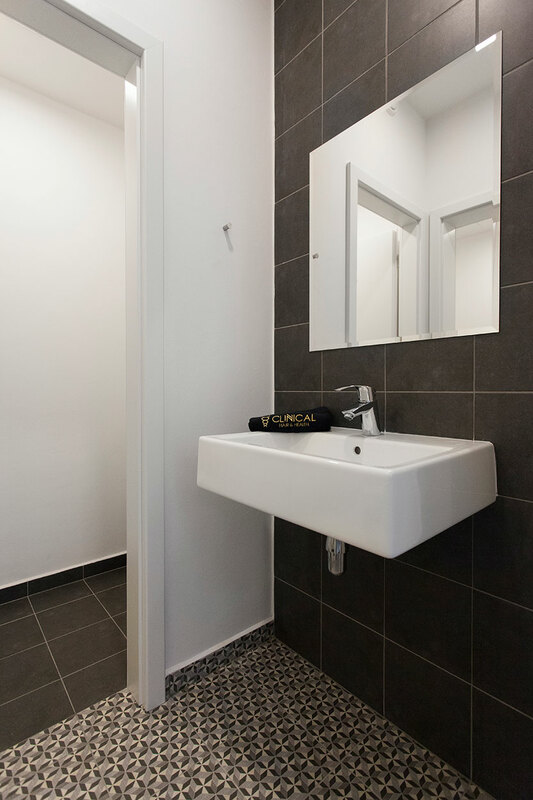 The clients requested spaces for the salon, counseling, laboratory and a conference room with a 90 sqm area. 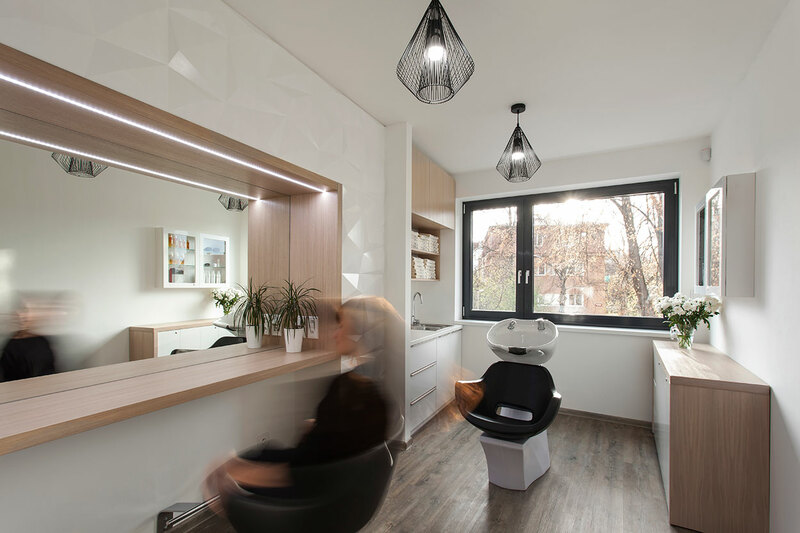 Furthermore, the hair clinic would also operate as a counseling room when there are no appointments. 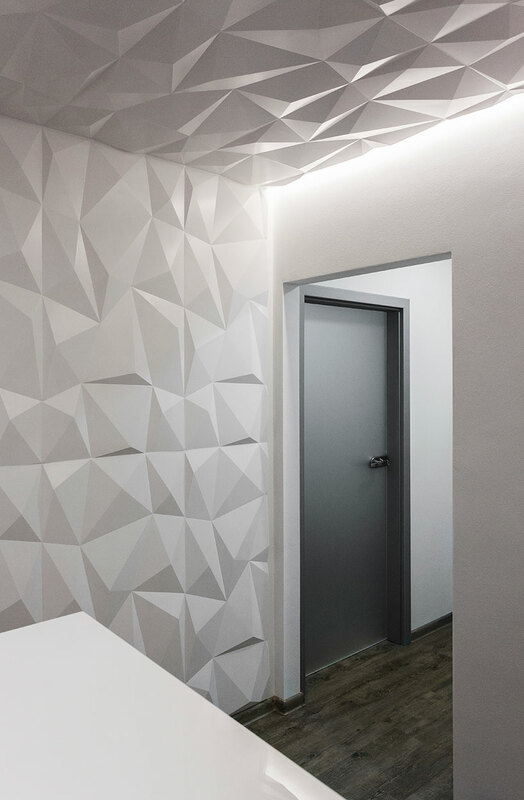 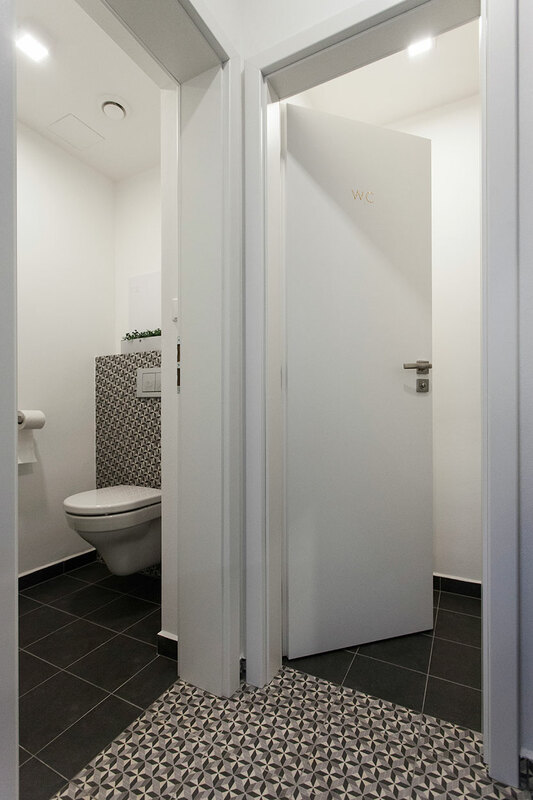 Thus, we provided a solution for a flexible yet intimate space that would allow changes over time.